You know how some people become attached to a certain dish? They try it somewhere once and then want to go back to eat it again and again, or they make it at home repeatedly in an until-death-do-us-part kind of vow? Well, I am one of those people, and I have made that vow with quite a few dishes from the Mexican state of Michoacan.It surprises me how Michoacan’s cuisine has remained such a well-kept secret. 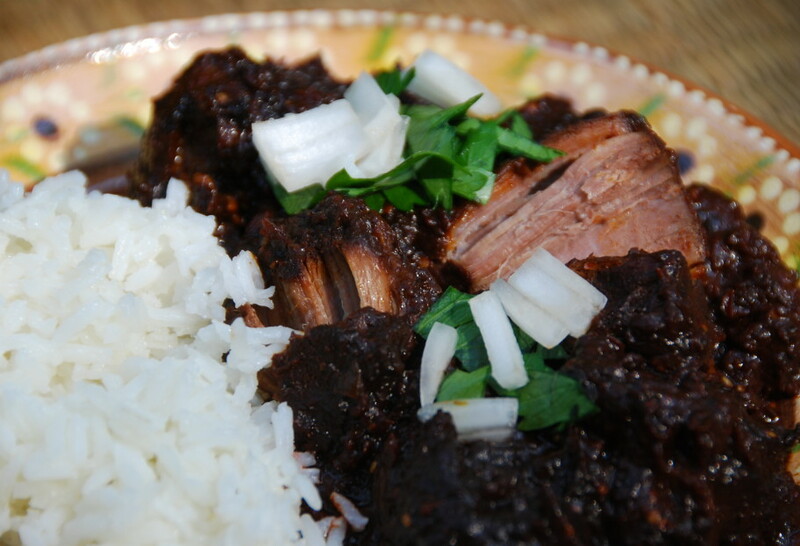 It has a defined personality and a complex layering of delicious flavors like the more popular cuisines from Oaxaca and Puebla, but its dishes seem to be a bit more comforting and use fewer ingredients. What’s more, some of Michoacan’s basic ingredients, such as pasilla chiles, tomatillos, cotija cheese and fruit pastes, have become readily available in stores outside of Mexico. My love for Michoacan is inevitably tied to its food, but it goes well beyond its kitchens. The first time I went to Michoacan as a little girl, it had such an impact on me that whenever our family planned a trip, I begged my parents to return there. It wasn’t only the enchanting cobbled streets, the immense wooden doors framed in cantera stone, the aromas of freshly made breads and ground mountain coffee, or the town squares filled with dozens of home-style ice cream carts and sweets stands, all surrounded with colorful balloons and birdseed sellers. There was something more. I returned a couple of decades later, as a production assistant for a traveling cooking show. It was breathtaking. As we researched for and filmed foods prepared for Day of the Dead — a Mexican holiday celebrated this week — we traveled from town to town, sampling delicate and simple dishes in the markets filled with fresh ingredients and goodies that women brought in baskets and set down on mats on the floor. In the cities surrounding the Patzcuaro Lake area, we saw the famous fishermen using their immense nets, which seemed to fly off into the sky, before sunrise. We tasted to-die-for fish soups, meat stews, tamales and sweets that cooks prepared for this occasion. Day of the Dead is one of Mexico’s most meaningful celebrations, and Michoacan is a spectacular place to experience it, partly because of its beauty and cuisine, but also because of the richness and depth of its centuries-old traditions. The Purepechas, also called Tarascos, who remain the predominant indigenous group of the region, believed since pre-Hispanic times that the dead return once a year to visit those they miss. Centuries of intermarriage between Purepecha, Spanish and Catholic Church traditions and ingredients resulted in an eclectic mix of rituals and exquisite foods. Last year, a decade after my second trip, I returned to Michoacan to do further research for the culinary program I teach at the Mexican Cultural Institute in Washington, D.C. We brought our three young sons, and I was eager to share with them the things and foods I had been fascinated with on previous trips. Yet as soon as we unpacked, it became clear that there was so much more to taste and learn. I experienced new things along with my boys. After a stay in Morelia, the colonial capital where we tasted traditional and modern spins of Michoacan cuisine, we spent a sweet time in the small town of Santa Fe de la Laguna among a Purepecha community. Some of the women fed us their traditional foods and invited us into their kitchens to teach us how to make those dishes. They also taught our boys, with so much patience and tranquility, how to work with their traditional black and green clay. In my until-death-do-us-part vow with the food of Michoacan, I shall keep sharing and cooking what I have learned from its cuisine until I am able to go back to explore and eat some more. What’s more, if I’m given a license to come back from another world for Day of the Dead, I will happily feast on this menu with the people I love. Article written for and published by National Public Radio’s Kitchen Window. Place meat chunks in a large cooking pot along with 5 garlic cloves, peppercorns and salt. Cover with water, bring to a boil, cover partially and simmer over medium heat for 3 hours, or until meat is very soft. Drain and reserve 2 cups of its cooking liquid. Meanwhile, char or roast the tomatillos on a baking sheet under the broiler, or directly on the comal or dry skillet or grill over medium heat, for about 10 minutes, turning 2 or 3 times. Tomatillos are ready when their skin is blistered and lightly charred, and their flesh is soft, mushy and juicy. Toast chiles on a hot comal or dry skillet over-medium heat for 5 to 10 seconds per side. Chiles will release their aroma and become more pliable, and their inner skin will become a bit opaque. Don't let them burn. Place toasted chiles and roasted or charred tomatillos in a bowl and cover with 1 cup boiling water and 2 cups of reserved meat cooking liquid (if you don't have 2 cups, add more water). Let this mixture soak for at least a half-hour and up to 4 hours. Pour the mixture into the blender or food processor, puree until smooth and reserve. Add 3 tablespoons of corn or safflower oil to the same pot in which meat was cooked, and heat over high heat until hot but not smoking. Add cooked meat chunks and brown them, 2 to 3 minutes. Reduce heat to medium, add the chopped onion, and stir as you continue to brown the meat for another 2 to 3 minutes. Incorporate pureed chile mixture, a teaspoon of salt and the piloncillo or brown sugar. Stir and simmer over medium heat for about 10 more minutes. The meat should be completely tender, yet still in chunks. The sauce should be think enough to coat the back of a wooden spoon, but not pasty. Taste for salt and add more if need be. To serve, you can garnish with some raw chopped onion and cilantro leaves. If there is any meat left over, you can cool, store and refrigerate it in a closed contained and then reheat, covered over a low simmer. Crust: In a big bowl, stir the ground cookies, sugar and melted butter until thoroughly mixed. Butter a 9- to 10-inch springform pan. Turn the cookie mixture into the pan. With your fingers or a small spatula, spread it evenly along the pan. Press gently, making a side rim of 1/2 to 1 inch on the sides. Refrigerate while you make the guava spread, cheese filling and sour cream topping. Guava Spread: Place guava paste and water in the blender jar or food processor. Process until smooth, and reserve. Cheese Filling: Place the cream cheese in the bowl of an electric mixer, and beat at medium speed until smooth and foamy, 3 to 4 minutes. Add sugar and vanilla, and continue beating until well mixed. Add eggs, one at a time. You may need to stop the mixer to scrape down the sides and bottom of the bowl, as the batter may stick to it. Add the heavy cream, and beat until the mixture is all incorporated and smooth. Reserve. Sour Cream Topping: In a bowl, mix the sour cream and the sugar together. Assemble Together: Adjust rack of the oven one-third up from the bottom and preheat to 350 degrees. Remove the pan with the crust from the refrigerator. With a spatula, spread the guava mixture evenly over the crust. Turn out the cheese filling onto the guava layer, and spread gently and evenly. Place the cheesecake in the oven and bake for 35 minutes, or until it is cooked and has a lightly tanned top. Remove from oven and let cool for at least 10 minutes. Then spoon the sweetened sour cream over the cheese filling and place it back in the oven for 10 more minutes. Remove from the oven and let it cool to room temperature. Cover and refrigerate for at least 4 hours before serving. It tastes even better if it chills overnight. Before serving, release the sides of the springform pan. Place the cheesecake onto a plate (keeping it on the bottom of the pan), slice and serve. I just watched your show and loved it,would you please add me as one of your fans. Ah you are so right! Michoacan (where my father is from) has the most delicious food! I visited this year and was amazed! I kept asking my father why the food was so good and he explained that everything is much fresher than in the United States. There are many farms and orchards just outside the city we stayed (lazaro cardenas) where fresh fruit and vegetables are grown. Meat and fish are also fresh, never frozen. The fresh ingredients combined with the care that goes into preparation makes for outstanding food. Needless to say, I can not agree with you more about the amazing food of michocan. Thank you for sharing these recipes! I love your recipes, your show and your blog. Thank you for highlighting the beautiful and delicious food of Mexico. I’m working my way through your recipes. Muchisimas gracias. Hola Pati, I have to agree with your fondness for Michoacan! A place that seems to be, in some ways, “untouched by time”. My mother was from Ario de Rosales. I have wonderful memories of such a magical place, and share that fondness. Wonderful memories as a child to visit my grandparents “al rancho” , visiting the “tios & primos” thru out the state. The Carnitas from Quiroga & “Mole Michoacano” of Morelia, avocados & mangos verdes from Uruapan, “birria de chivo” from Nueva Italia! I digress, I could go on. I truly am thankful for people such as Diana Kennedy, Cristina Potters, and yourself, for the wonderful flashbacks of the sights, sounds, smells of, as you put it, “The soul of Mexico”, My mother’s & Mexico’s “Magical Michoacan”. 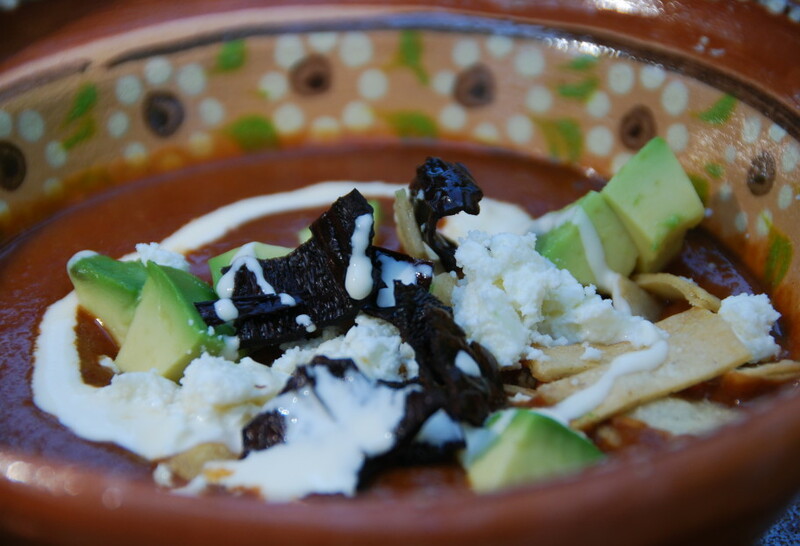 My dad is from Puruandiro, Michoacan…..gotta say, they do have delicious cuisine. My grandmother would cook some really good food. I used to visit a lot when I was young. One of my favorite things to have was the Pozole, Lime/Lemon ice cream (I remember a light green color), Galletas de Nata, and Buñuelos. I have made the Buñuelos with my parents, it’s a lot of work but well worth it. My girls love them! The one thing I miss is having the Lime ice cream. The ice cream vendor would walk down the street pushing his cart and I would hurry out to buy the delicious treat. They would serve it on a small cone with a couple of small scoops. I believe it’s milk based…..it has a distinct flavor, nothing I’ve tasted elsewhere. I no longer visit and I would love to have the recipe!!!!! Hola Laura, Thank you so much for sharing your memories from Michoacan!! I will try to post a lime ice cream recipe for you soon. I am looking for the most authentic menudo recipe. Please help!!!!!! Hola Melissa, I will try to post a recipe soon! Do you happen to know a recipe for cemas from Michoacan? I had it once while traveling there and it was so good but I have not been able to find anything like it anywhere. The one I had was a very rustic, dense, and sweet whole wheat bread with cinnamon (if I remember correctly). The cemas I find in the U.S. are dry and very light. Hola Jess, I will try to post a recipe soon!! I just saw your show today and was so pleased to see u cook authentic dishes, without the untradition beans and rice everyone seems to think accopanies all Mexican dishes. I was commenting to my husband years ago that not all our dishes come with beans and rice, and not all rice and bean dishes are fried.I’m going to start watching your show without missing an episode. thank you and please add me to your email list. We have always called them licuados now these are called smoothies, do you know where they originated? My mother and grandparents are all from Huetamo, Michoacan. And oh boy, can those girls cook. I especially love their menudo and licuados. Thank you, for such a great blog please add me to your email list, too! I can’t wait to get your cookbook. Oh and by the way, I made your Tres Leches Cake and everyone including my husband loved loved it!!! I have been searching for information about Michoacan because that is where my boyfriend is from. I was so pleased to find this site and read about this fantastic place (which I hope to visit one day for myself!) Please add me to the email list — I look forward to learning and enjoying my so-far-only-intellectual journey! You are added to the email list Mishelle, and I hope you get to visit Michoacan soon! My father is from Michoacan and on several occasions has mentioned tamales agrios. I remember my grandmother making them but I was too young to think about getting the recipe from her. Have you ever heard of them or encountered a recipe for them? My Dad is from Michoacan, the food there is amazing. My dad and uncle are some of the best cooks I know. Please add me to your subscription list. 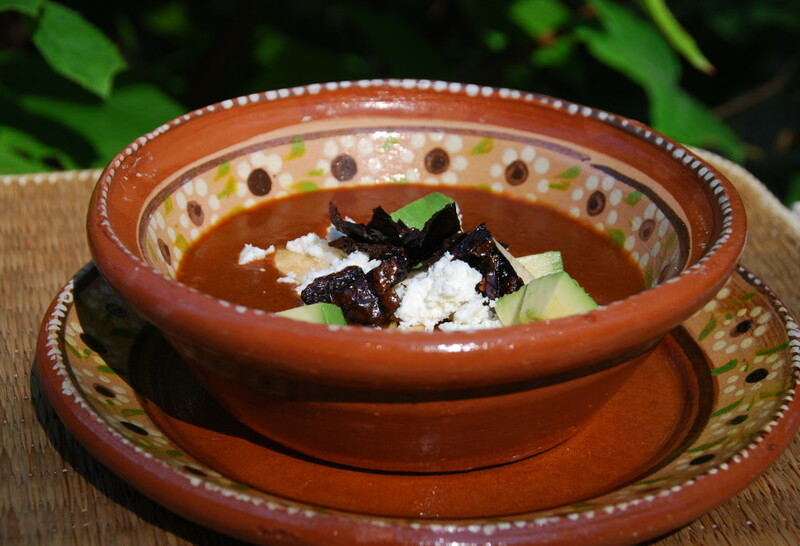 First time on your page, I cant wait to get home and try the green pozole… yummy. I travel to Mexico several times a year for business and spend most of my time within Michoacan. The food is incredible. Any recipes from the area would be greatly appreciated. I love mexican food and would appreciate your recipes be emailed to me. Thank you and the best of luck with your show! That is great Sonia! I’ve added you to the subscription email list. Hola Julie, Of course!! I have a recipe for Carnitas, which Michoacan is also famous for: http://patijinich.com/2014/01/carnitas/.